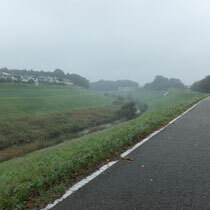 (1) You can enjoy running on wide bike road on dikes of Edo River with unobstructed view. (2) Along the rivers, in Noda City, you can find the Soy Sauce process and histroy at Kikkoman Soy Sauce Plant and in Sekiyado, you can find the history of Tone River and Edo River at Sekiyado Museum. (3) Edo River Bike road is connected with Tone River Bike Road. 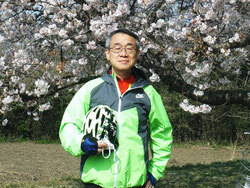 The total distance of two bike roads between Nishikasai at Tokyo Bay to Shibukawa in Gunma Prefecture, is about 170 kilometers, the longest bike road in Japan. Edo River Road is shown in the overall route map here, with information on points of interest. By clicking each of titles below, you can have detail map of each point of interest. Sekiyado Town is located at separation point of Edo River from Tone River and had been well developed as a key point of water transport. 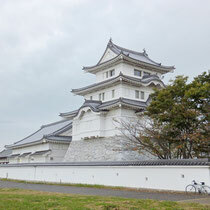 At the Sekiyado Castle Museum, they have unique historical exhibition about the Sekiyado Clan and the Sekiyado Castle in Edo Era and about water control, flood control and water transport of Tone River and Edo River at that time. 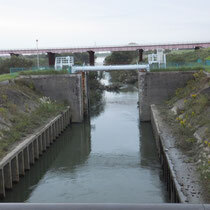 The Sekiyado Water and Lock Gate is located at the flow front of the Edo River and was completed in 1927 after large scaled construction for 9 years in order to control the amount of water that flew into the river and to adjust the water level so that ships could go through the water gate. 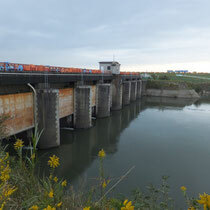 This water and lock gate is a valuable contruction to which early concrete engineering at that time was applied. 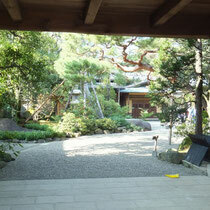 The gate has been certified as the heritage recommended by the Japanese Society of Civil Engineers. The metropolitan Area Outer Underground Discharge Channel, 6.3 kilometer long water tunnel built at 50 meters below ground under the National Route 16, is the one of the world's largest underground discharge channels. It consists of inflow facilities and banks to take flood water from various rivers running in the local area, the tunnel of the underground water channel to direct flood water downstream, the pressure-adjusting underground space to reduce water flow speed in the underground area and to secure smooth flow, and the draining pump station and drainage sluiceway to draining flooding from underground area to Edo River. 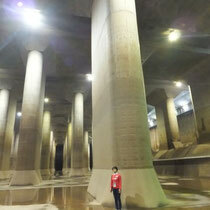 Especially, the pressure-adjusting underground space has been called as "Underground Temple" because of giant 59 pillars standing on an underground area as wide as football playground. The facility was completed in 2006 with investment of total 230 billion yen and has contributed significantly to reduce damages due to immersion in the local river basins. 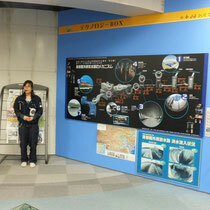 The reservation for free facility tour can be made since 28 days in advance. Around 350 years ago soon after Edo Shogunate was established, two families at Noda, Takanashi Family and Mogi Family, started volume production of soy sauce for business. 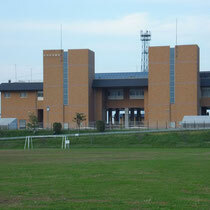 Noda is located in geometrically suitable area for production of soy sauce. The soy sauce production became largely grown then because raw materials such as soy beans, wheat, and salt were easily secured and prompt product deliveries to the expanding city of Edo was made by effective water transport through Edo River and Tone River while the local climate is well matched for soy sauce production. The free plant tour to see the process of soy sauce production can be made at Kikkoman Noda Plant with reservation in advance. 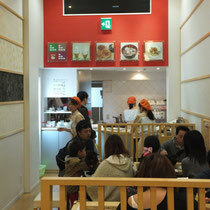 After the plant tour, you can try ice cream with soy sauce flavor at "Mame" Cafe in the plant. Near the entrance of the plant, you can see a unique production house with white plaster walls called "Goyogura", where they brew soy sauce consumed in Imperial Household Agency. At the house of Takanashi Family, the headman who became rich by the say sauce business in the Edo Era, traditional Japanese garden with dry landscape and artificial hill, designated as National Scenic Spot, is open public with an admission fee. 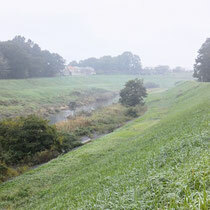 Tone Canal is a total 8 kilometer long canal to connect Tone River and Edo River in the North West area of Chiba Prefecture. The canal goes through Noda City, Kashiwa City, and Nagareyama City. 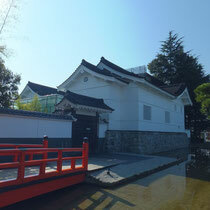 The transport route between Tone River and Edo River in Edo era was via Sekiyado. In order to shorten the route and increase amount of transport, Tone Canal was designed by Mundel, Dutch civil engineer and completed in 1890 after two year's construction. However, in two years after its start, 38,000 ships a year was a peak record and the numbers of ships going through the canal was drastically down, and in 1944 the transport through the canal was terminated. 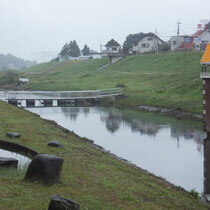 In these days, the canal dike is used for rest area for citizens and for bike road along the canal.